At last, a moment to breathe in a long and busy day. I've just got time for a quick post, just enough time to get in my one post for the day. Nothing better for relaxing at the end of a busy day than to relax with some smooth, sultry, soulful, jazz flavored, easy listening pop music. 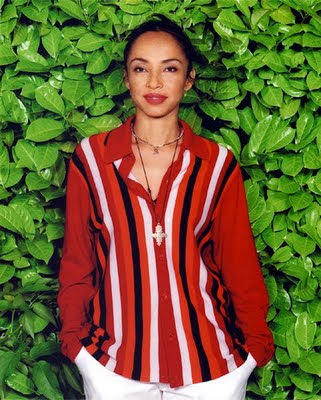 Of course, the queen of such sophisticated sound stylings is Ms. Sade Abu, her for whom Sade is named. Their very first US single "Hang On To Your Love" from the band's debut Diamond Nightlife burst onto the scene in 1984. That track, along with the song here "Your Love Is King", set the course for Sade, vaulting them into the top 20 on the US Billboard charts. Their next album, Promise, a year later went to #1 in the UK. Neither was a fluke as the band would follow that with half a dozen top ten singles, and have sold more than 50 million albums in the past 25 years. That number is likely to grow as the band is back in the studio preparing a new release.